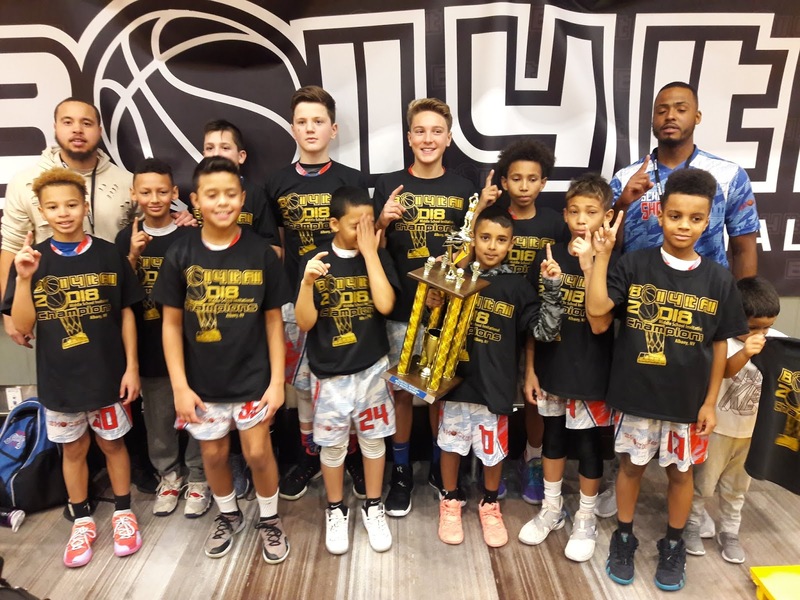 BASKETBALL SPOTLIGHT NEWS: Ball 4 It All 6th Grade Championship Recap: Shockers Win 4-Overtime Thriller! 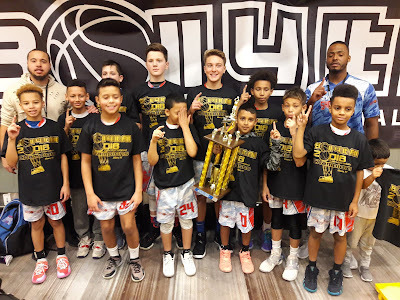 Ball 4 It All 6th Grade Championship Recap: Shockers Win 4-Overtime Thriller! 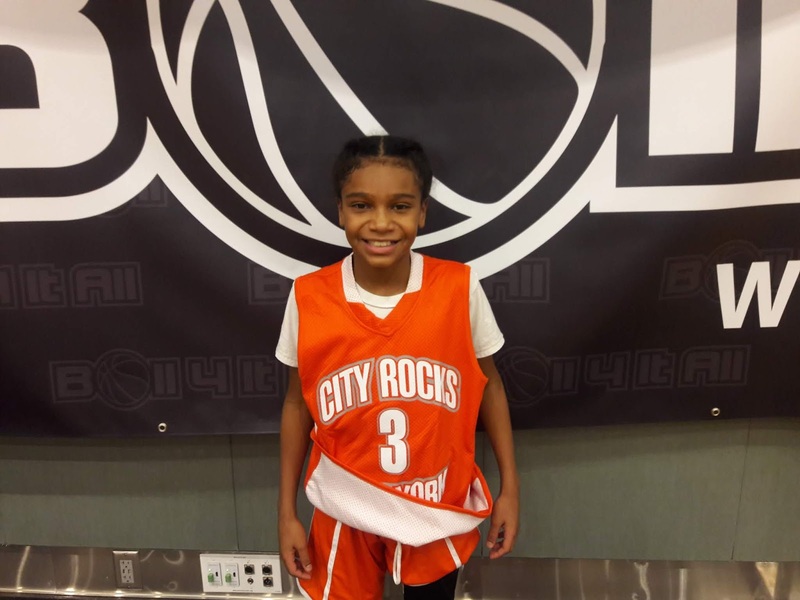 The Shockers held on 59-54 to defeat City Rocks in quadruple overtime to win the Ball 4 It All Middle School Invitational 6th Grade Championship. 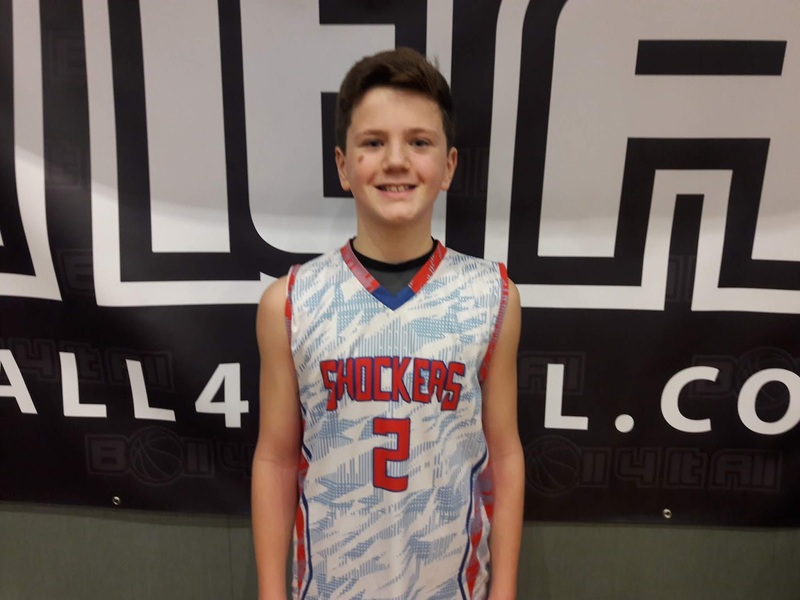 Here’s a look at our top performers from the 6th Grade Division. 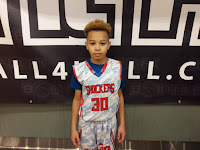 Sei’mir Roberson Guard (Shockers)- Like many other youngsters Roberson loves Steph Curry and besides wearing the #30 Sei’mir game backed it up also. 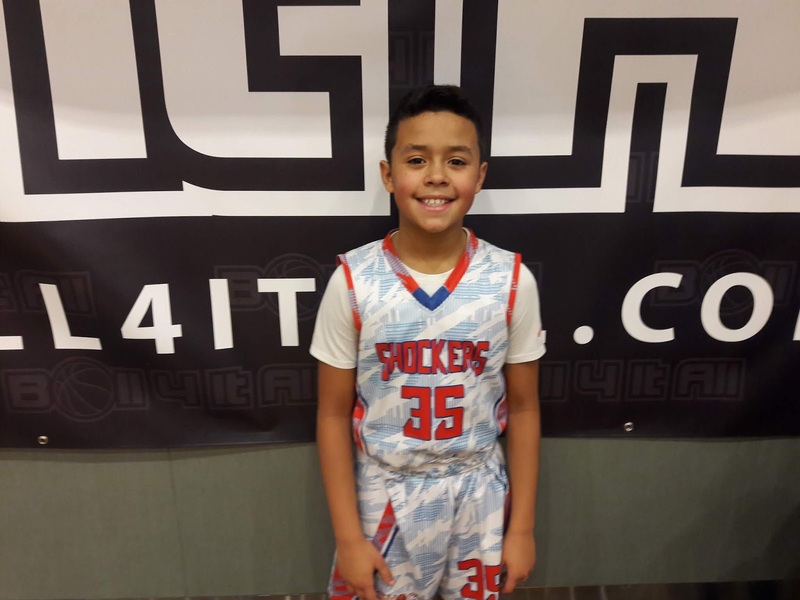 This play making guard gets wherever he wants on the floor while scoring or dropping dimes. He has some flair to his game and doesn’t shy away from the big stage. 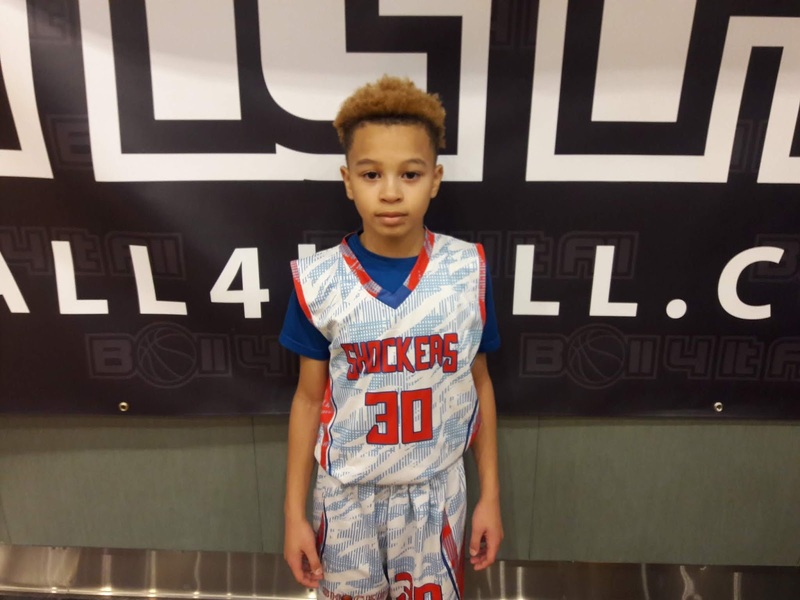 Daniel Smalls Guard (Shockers)- The coach’s son is hired to score and he loves his job. 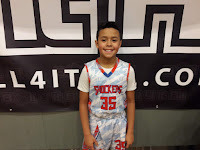 He knows how to knife his way to the cup and finish with a floater or twisting layup. He also will drain a deep trey ball if giving the opportunity. 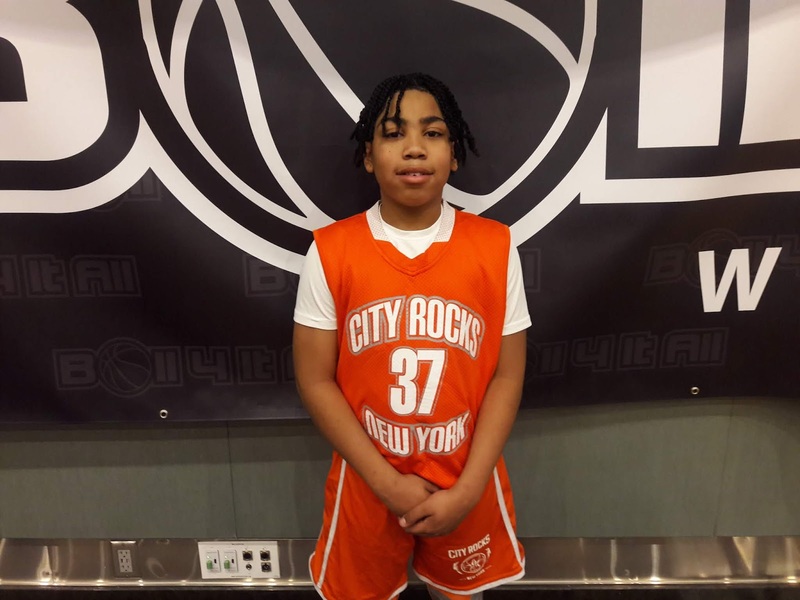 Yamare Coffil Guard (Shockers)- Coffil played opposite of Smalls. I also like his range on his outside and midrange skill set. He knew how to run the floor and fill the lane in transition. He hit some big shots down the stretch of this 4-overtime thriller. 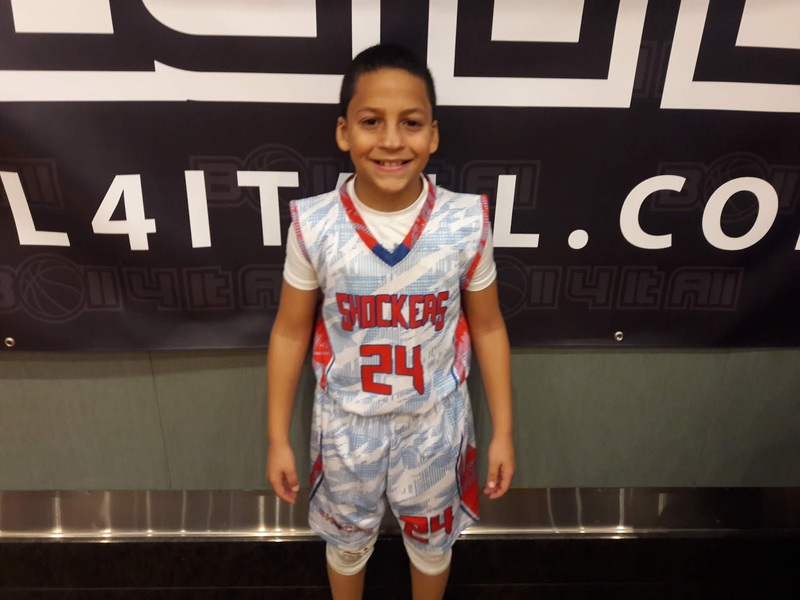 Cyrus Matia Forward (Shockers)- Matia anchored the defense inside by blocking and altering shots. 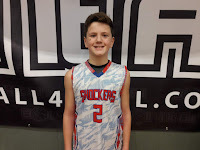 He also was a factor on the offensive end by grabbing offensive boards and getting put backs. 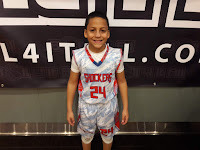 His footwork and skillset on offense are still developing. 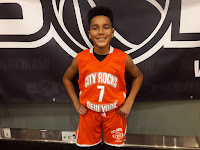 Bless Demand Guard (City Rocks)- This kid was tenacious and a killer from the perimeter. Whenever Shockers tried to stretch the lead Demand would bang home a trey. I want to say he nailed at least six of them. The youngster has a mean ratchet. 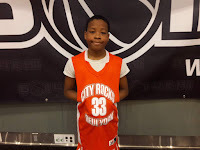 Melvin Brown Guard (City Rocks)- The lefty spent most of the game setting up teammates. He has a good drive, draw and dish game. When things got tight late in the game Brown showed he could also get a bucket or make a trip to the charity stripe. 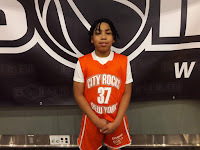 Julius Brown Guard (City Rocks)- Brown started the game off very aggressive on both ends of the floor. On offense he can play inside or outside while also grabbing some boards. On defense he also hits the glass while guarding multiple positions. 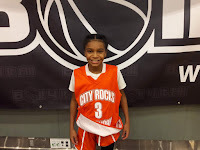 Hais Mayben Guard (City Rocks)- The 4th Graders passing ability, feel for the game and basketball IQ is off the charts. He made the game very easy for teammates while also looking for his own shot when needed. This kid will certainly be a problem down the road.